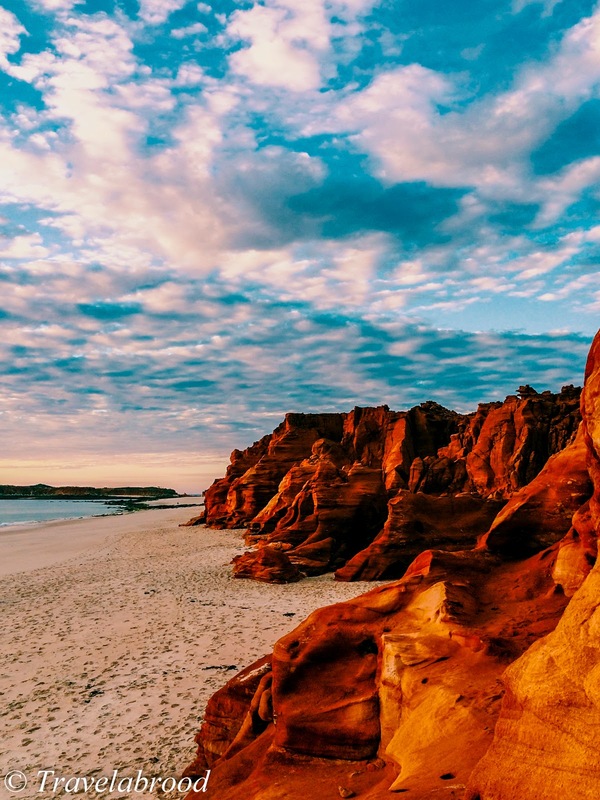 As a winter break to escape the cold and wet we chose Cape Leveque and Broome, Western Australia. Broome is located 2,240km north of Perth and is a coastal pearling and tourist town in the Kimberley region of WA. Cape Leveque is around 200km further north of Broome on the Dampier Peninsula. An early morning direct 2.5 hour flight from Perth to Broome, we welcomed the 27 degree heat and headed to the shops for supplies before heading up to Cape Leveque. 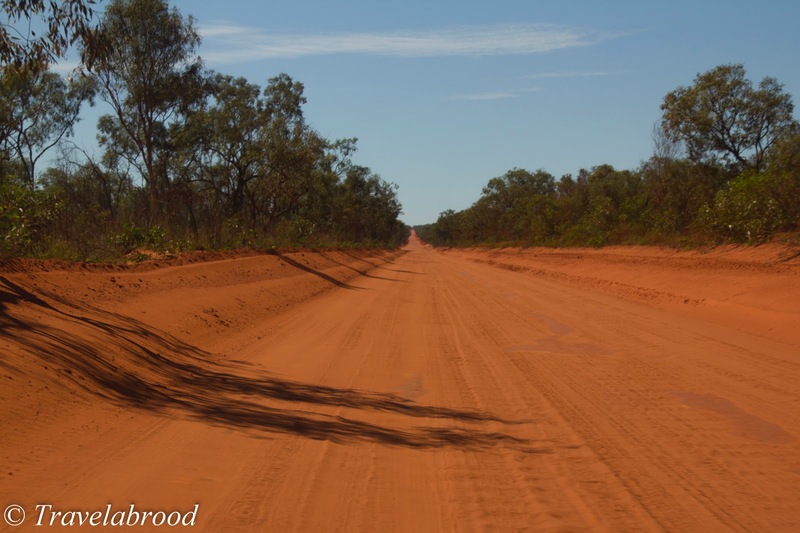 The road to Cape Leveque is an unsealed, red dirt highway. Travelling at a speed of around 80km/hr is advised as although it looks flat, there are many unseen bumps and holes. Half way to Cape Leveque a visit to Beagle Bay Aboriginal Community is a welcome detour and a nice place to stop for a picnic lunch under the well established trees. Beagle Bay is well known for its Church which was completed in 1918. For a $5 donation visitors are welcome to visit, but please don't ring the bell! 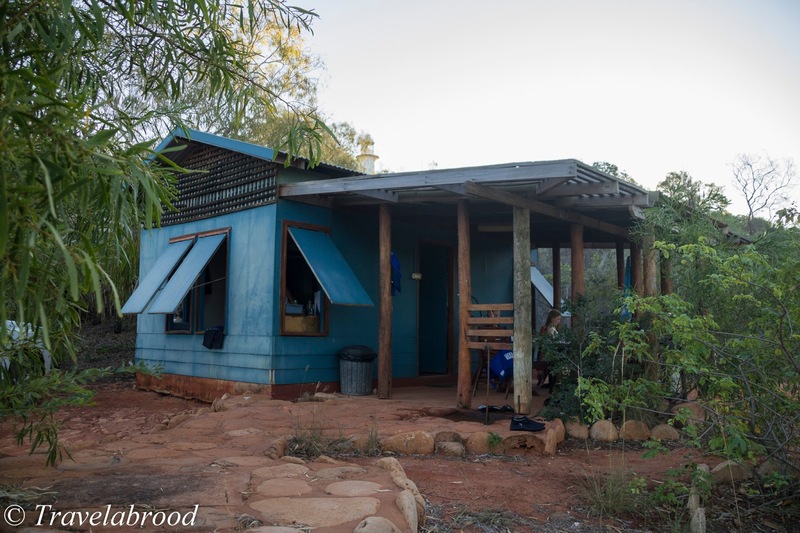 We had booked to stay at Kooljaman a100% Indigenous owned facility which offers a well appointed camp ground for those travelling with their own camp gear or there is are "glamping" options for couples and families. We chose not to transport tents, billies and sleeping bags and opted for a five bed, ensuite cabin, complete with BBQ, full sized fridge/freezer and linen. Kooljaman is a dry community, all alcohol is BYO and although there is a shop on-site, it doesn't offer a huge amount of supplies, therefore it is advised to shop in Broome. 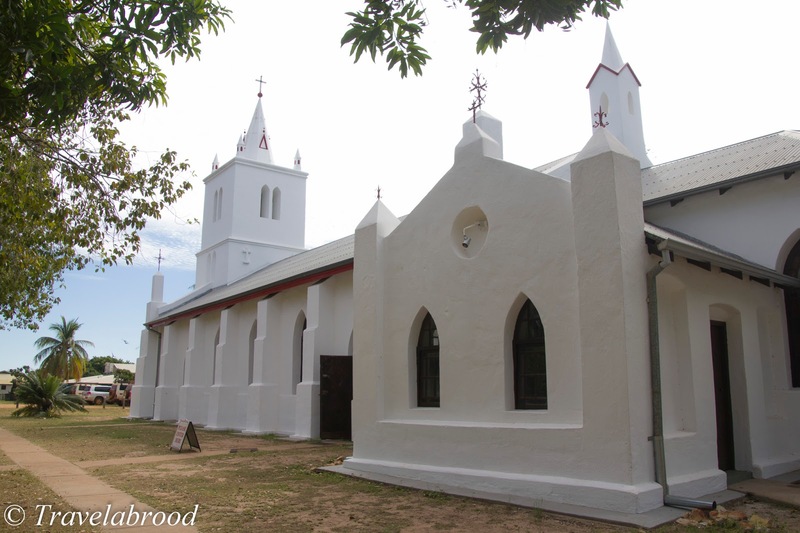 Petrol and a larger shop can be found at One-Arm Point (approx 20km from Kooljaman). There is a swimming beach on the east side of the Community with 4WD access. Compressed air is available on your return to camp so you can re-pressure your tires. The Western Beach is closed for swimming due to strong currents and tidal movements. I think it is also a way of keeping "explorers" off the stunning rock formations. 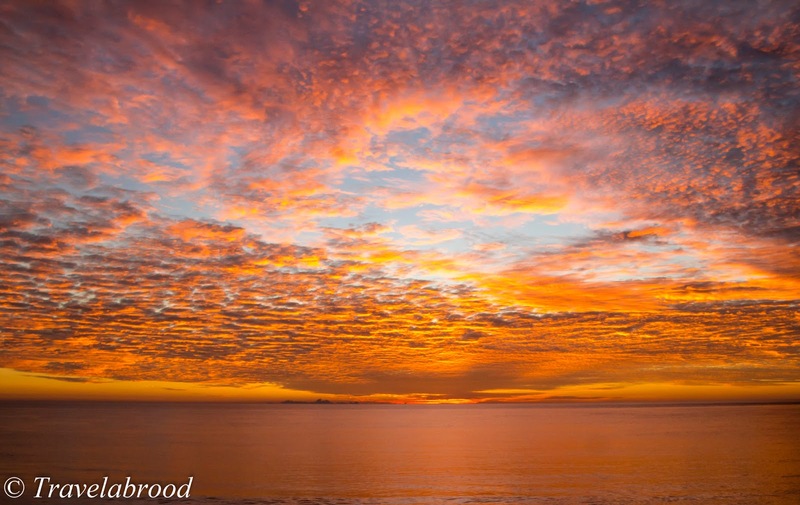 The sunsets are to die for and best viewed from either the balcony overlooking Western Beach or from the beach itself. Raugi's restaurant offers a fine dining menu using local indigenous ingredients or there is a more casual wood-fired pizza outlet. Dinka's cafe is open during the day for casual dining, coffee and refreshments. Beach chairs and umbrella's are also available for hire from Dinka's. 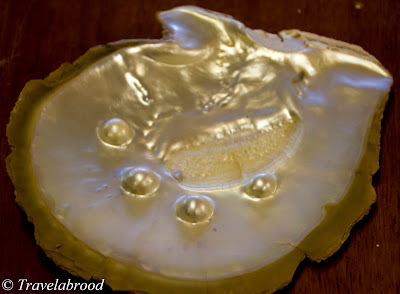 As previously mentioned this part of WA is famously known for its Pearling Industry. 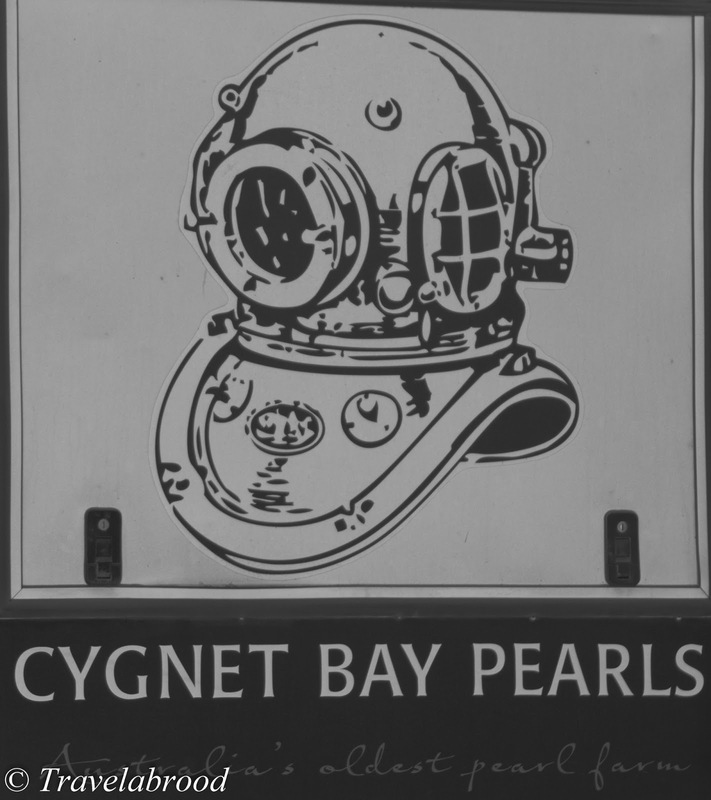 Not far from Kooljaman is Cygnet Bay Pearl Farm. Pioneers of pearling in the region, the farm offers a range of tours, a licensed restaurant, accommodation and of course a selection of pearls for sale in the boutique. 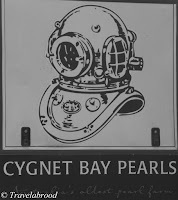 We opted for the Pearl Farm Discovery Tour which gave us an informative insight into the history of Cygnet Bay Pearls, the pearl farm and production. One-Arm Point Community (Ardyaloon) is located on the point of the Dampier Peninsula. The Community is open Monday - Friday and an entrance fee is payable. The Ardyaloon Hatchery is open to tourists on the weekend as well as the surrounding beaches. Our return trip to Broome seemed a lot quicker along the dirt road. We had booked into Cable Beach Club Resort and were glad to wash off the red dirt. 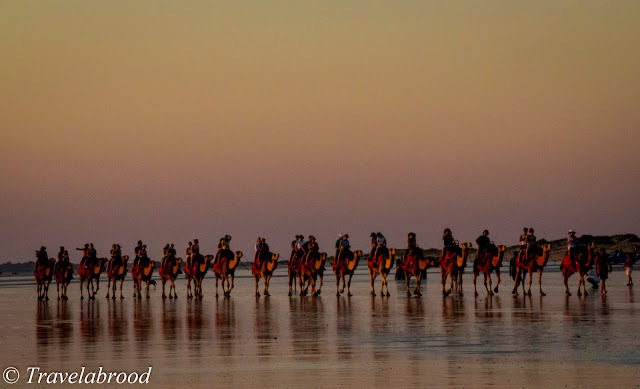 We had stayed at Cable Beach previously and found the resort very comfortable and well located. Within the resort there is a good selection of restaurants, so leaving the resort is very hard to do. We did venture out and visited the Malcolm Douglas Wilderness Wildlife Park. After the tragic passing of Malcolm the park moved to a new location. Open from 3pm - 5pm daily, we were collected from the resort and transported to the park in time for feeding. Watching the huge snapping crocs had everyone move away from the fence very quickly, while baby crocs were passed around for cuddles and photos. 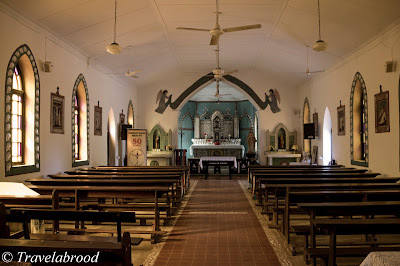 We didn't spend any time in Broome Town apart from the day we arrived. 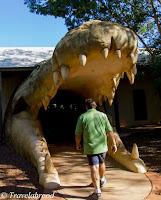 Broome is a typical tourist town with souvenir shops, museums and alike. It also boasts a popular racing carnival and some good restaurants. 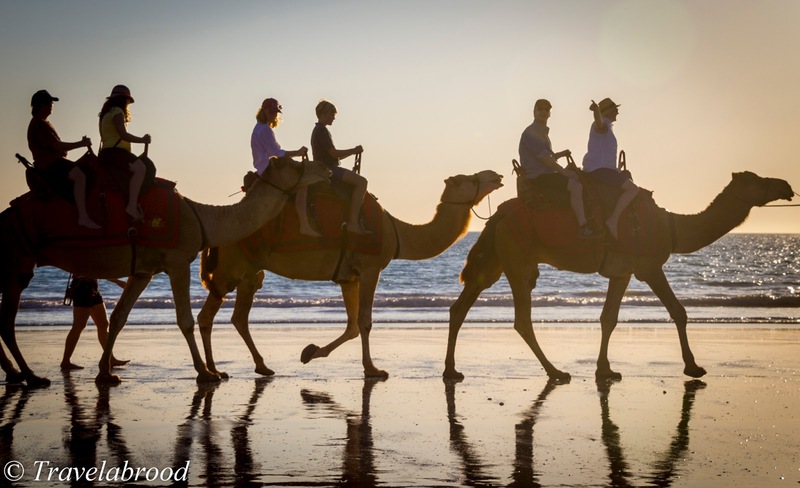 The No 1 attraction of Broome would have to be a camel ride along Cable Beach. The camels are on the beach in the morning and for sunset and are popular with young and old.